With all the developments and plans that our small community is facing, it is quite difficult for local residents to keep up. PMRA is actively involved in all areas, working with neighbouring residents groups as well as through the Residents and Business Liaison Group (RBLG) established under the Heartlands planning permission some three years ago to bring together residents and those bringing change to our area. We use our General Meetings, record of the RBLG and our website to keep our community up to date but it is a herculean task. With so much change proposed by the council and developers simultaneously, each with enormous and far-reaching impact, not only on our residents, but on the entire borough; when we are dealing with destruction of community assets, squandering of natural resources; all while the provision of new housing is the national imperative (not to mention an over-ambitious council that has decided on a utopian masterplan for the area); we need as many as possible in our community to be involved and have their voices heard, either through PMRA or individually. So this post should provide a short update of what PMRA are involved in and how we are engaging with the current developments. 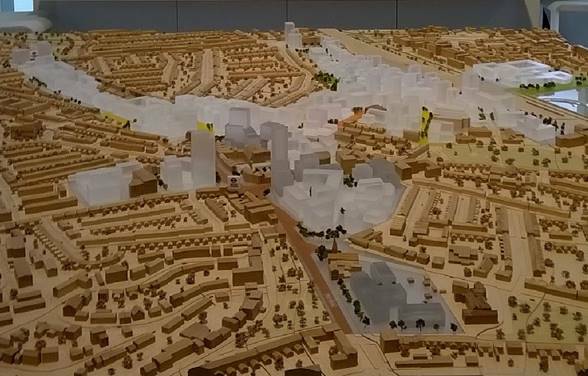 Summary: We are currently working on a number of fronts and have some serious concerns, particularly around the failure to restore the Moselle, the deficiency of open space, building heights and density, particularly on the Outline. We are also working on responses to the Iceland site, the AAP and key aspects of it, including Caxton Road and The Mall/Sky City. Separately from our involvement in the RBLG we have commented on all planning applications relating to the Heartlands and will continue to do so. We commented on the Wood Green Area Action Plan and have just done so on the application for the Iceland site. 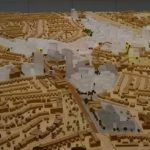 We try to make sense of the role Haringey Council is playing behind the scenes to set its own agenda with the developers. Besides Haringey Council, our MP, elected members, and the local developers, we maintain links in the neighbourhood with the Mall, Turnaround, the Community Hub, Electoral Services, Sky City tenants, the residents protesting in Caxton Road and the surrounding streets, and Noel Park North Residents Association. We attend all meetings of the Haringey Transport Forum. We have lead on a campaign to get Haringey Council to fulfill its statutory responsibilities and require developers to open up the Moselle Brook from its culvert under the Heartlands site and the Iceland car-park. At the request of Haringey Friends of Parks Forum we have just agreed with Thames 21 and Sustainable Haringey to work together to establish a Haringey Rivers Forum. Iceland – Who’s behind the ‘Icewall’?